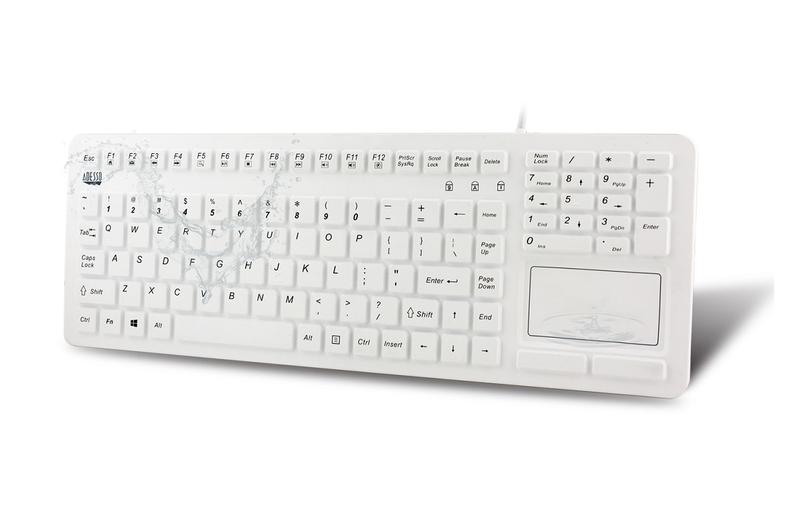 The Adesso® AKB-270UW Antimicrobial Waterproof Silicone Touchpad Keyboard is designed for high traffic applications. The keyboard is easily cleaned with soap and water. It is made with antimicrobial material that protects against germ buildups between washings. The keyboard has a USB interface that easily connects without having to install specific drivers. Aside from these incredibly practical and hygienic features, the keyboard is made for smooth and quiet performance. The Silicon Material offers the ability to remove germs with soap and water or disinfectants. Control your media player and browse the Internet with just one key touch using the built-in Multimedia and Internet Hot keys for easy access to your favorite media or websites! IP 67 rated. Sealed with a silicone material overlay, this scanner is 100% waterproof and can be cleaned with soap and water or other liquid cleaners. Ranked as a IPX-67 Waterproof Standard, this device can withstand being submerged in water for up to 30 min - 3ft in depth. The keyboard features an integrated touchpad which can take the place of your mouse, making it easier to control the movement of the cursor of your computer.